Victoria collaborated with hundreds of journalists on articles and TV segments covering her body image positive book Curves, sustainable fashion start up ChicCartel and pieces on her own personal journey. Victoria: In essence, I wanted to support “do good” fashion brands and the challenge was that “do good” companies are never cool and glam so most people don’t get on board. But making “the right choice” should not be a sacrifice. 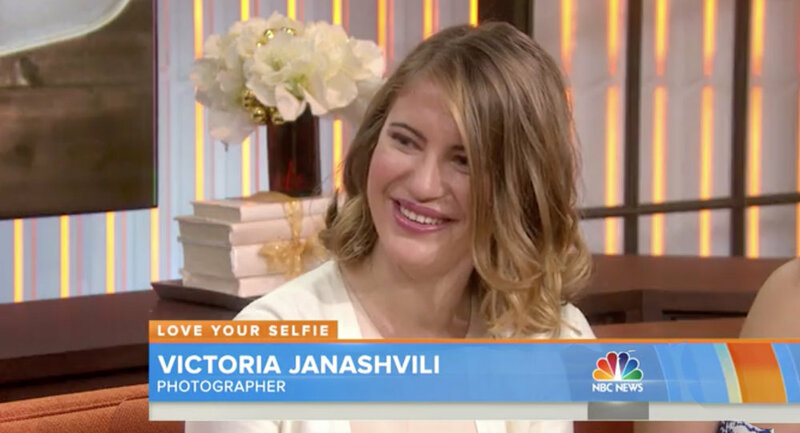 Love your selfie: Photographer goes on a positive body image mission. Victoria: "Through my book, I would like to continue to spread the mission and break social stereotypes, so we can take a stand on women feeling confident within their own skin." Even though the average American woman is a size 14, our society continues to set sterotypes as standards when it relates to the real body image of women,” the fashion photographer said in a statement. Janashvili: "In today's society, the suicide rate is the largest ever recorded and is linked, mainly, to appearance issues. This means that by spreading a realistic image and a beautiful body at all ages, we believe we are able to save some lives. "